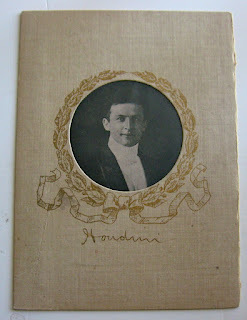 A unique menu for a special dinner honoring Houdini in 1907 has sold on eBay for $527.86. I've never seen one of these before, and with 22 bids, it looks like this was new to collectors as well. The diner was given by B.F. Keith at the Boston Athletic Association on Sunday, February 10, 1907. Houdini was a superstar on the Keith vaudeville circuit at the time. 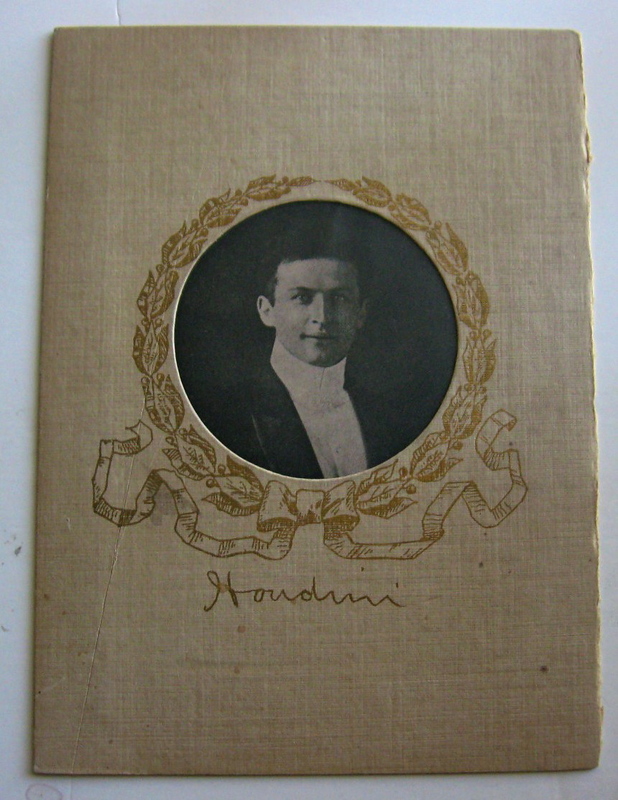 The menu features a beautiful cut out portrait of Houdini on the cover. The meal itself consisted of: Bluepoints (oysters), Clear Turtle (soup? ), Fillet of Halibut Marguery, Saddle of Mutton with Current Jelly, Hot House Chicken, and a choice of desserts. A yummy collectible to be certain.